Thank you again to Emilie Burguin for the French cat pictures. I’m very tired and it’s great to have lots of lovely photos in my computer’s memory to choose from. 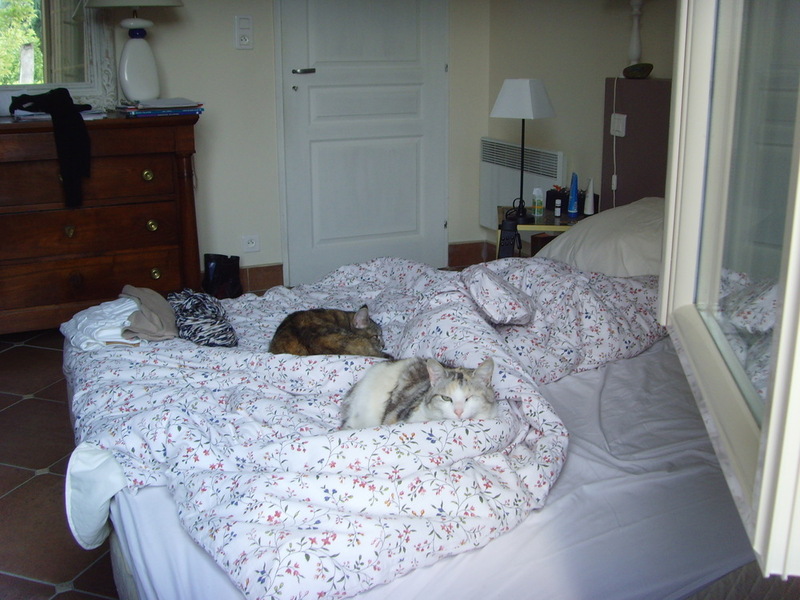 Today’s photograph shows Zaza and Mickette enjoying a sneaky snooze on a bed at Easter time in France earlier this year. I wonder which one is which? Oh Thank you for using my cats’ photos!Zaza is the one at the front, looking at the camera and Mickette is the tortoise shell one.Poor Zaza has had a rough life, many accident but she’s the sweetest one eyed cat ever!